The voyage of Portuguese explorer Ferdinand Magellan, whose 16th-century mission for Spain was the first to circumnavigate the globe, took a tragic turn in 1521 when he was killed during a Custer-like attack on the local populace in Cebu, Philippines. Today's explorers will find a more friendly welcome in Cebu than that received by Magellan, and they can walk in the steps of the great navigator without trepidation. Cebu, the oldest city in the Philippines and the second in size to Manila, is a thriving metropolis of more than 3 million people. Yet unlike Manila, Cebu - called “The Queen City of the South” - retains a more provincial, less frenetic quality than its northern counterpart. 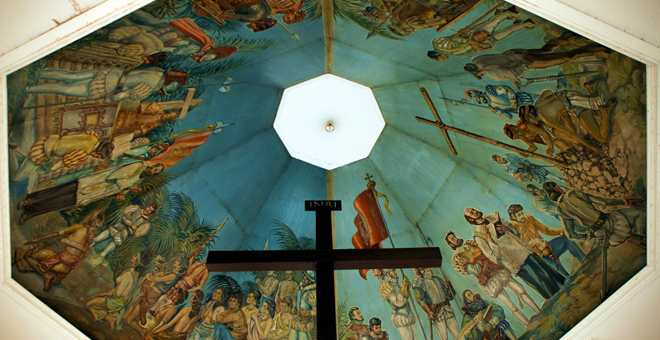 History buffs will be well-rewarded, with glimpses of what life was like when the Philippines was a Spanish colony. Fans of sunbathing and water sports will find a marine paradise in Cebu's Mactan Island resorts, and gourmets will relish Cebu's delectable dishes - a combination of Spanish, Chinese and Polynesian cuisine, with some of the world's most exotic fruits mixed in. A little more than an hour's flight from Manila via Philippine Airlines, Cebu's international airport on Mactan Island is close to an array of top beach resorts. 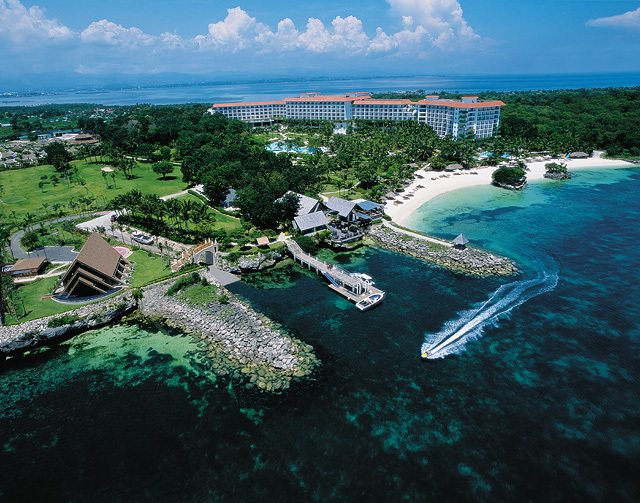 These include the Maribago Resort, a stunning property with beautiful beaches and ample opportunities for canoeing, windsurfing, snorkeling and other aquatic pursuits, and the luxurious 5-star Mactan Shangri-la Resort & Spa (pictured), which has its own marine sanctuary of over 100 species of fish and coral. 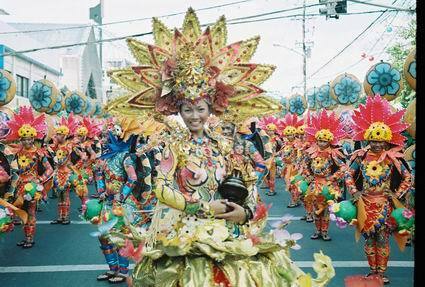 Following is a list if sights not to be missed during a stay in Cebu. 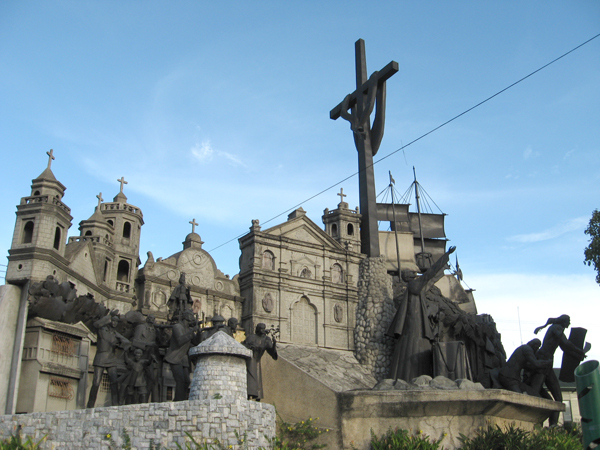 Magellan's Cross - Located downtown outside the Santo Niño Basilica (itself a historic landmark), the wooden cross, now enshrined in a protective casing, was instrumental in bringing Christianity to the Philippines. Fort San Pedro - Also downtown, this well-preserved fort was the bastion of Spanish power during the colonial period. You can see artifacts from sunken galleons and walk the walls much as the garrison did centuries ago. The corner towers mirror fortifications in Puerto Rico and other former Spanish colonies in Latin America. Casa Gorodo - Another vestige of Cebu's Spanish colonial past, this palatial residence, once the home of the Catholic bishop, gives a glimpse of the lifestyle of the wealthy during that era. The house is worth visiting for its wood carvings alone. 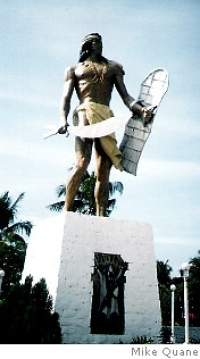 Lapu-Lapu Monument - Commemorates the battle of Mactan, in which Magellan met his demise attacking a vastly superior force led by Lapu-Lapu, the Philippine chieftain. An heroic statue of the chief on the battle site and a mural depicting the attack make this a memorable attraction. Magellan Marker - Located near the Lapu-Lapu Monument on Mactan Island, this structure was erected by the Spanish as a memorial to the navigator, whose body was never recovered. Heritage of Cebu Monument - Located on Colon St. (the oldest street in the city), this huge sculpture, dedicated in 2000, depicts the history of Cebu from its pre-Christian trading days through the Spanish colonization, the American commonwealth period, World War II, independence and the modern era. 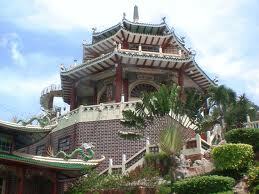 Taoist Temple - Located in Cebu's upscale Beverly Hills section, this beautiful temple is a place of pilgrimage for the city's large Chinese population. The view of the city from atop the temple's 99 steps is spectacular. There is night life aplenty in Cebu, as befits a thriving metropolis. Many of the nightclubs, bars and discos are concentrated around the Ayala Entertainment Center, adjacent to the huge Ayala Mall. There is also a casino at the Waterfront Insular Hotel. For more information, go to www.experiencephilippines.org. Enjoy!